Our Mission is simple: to assist dentists in the area in providing excellent dental care to the wonderful people of our community. We understand that every patient we treat is also a patient of a colleague in the area. We pledge to keep referring dentists completely informed, and to promptly return patients for their continued dental care. Every treatment performed is done under extensive magnification and illumination provided by the Zeiss Pro Ergo operating microscope. 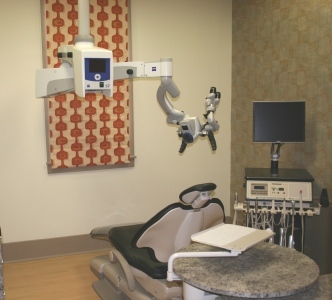 This allows Dr. Gremillion and his assistant to visualize the smallest details, such as calcified or additional canals, separated instruments, etc. that are often impossible to see under less magnification. Following each treatment, the referring dentist will receive a detailed description of the services provided. Included in the report will be pre and post treatment digital radiographs and photos of the tooth/teeth treated.